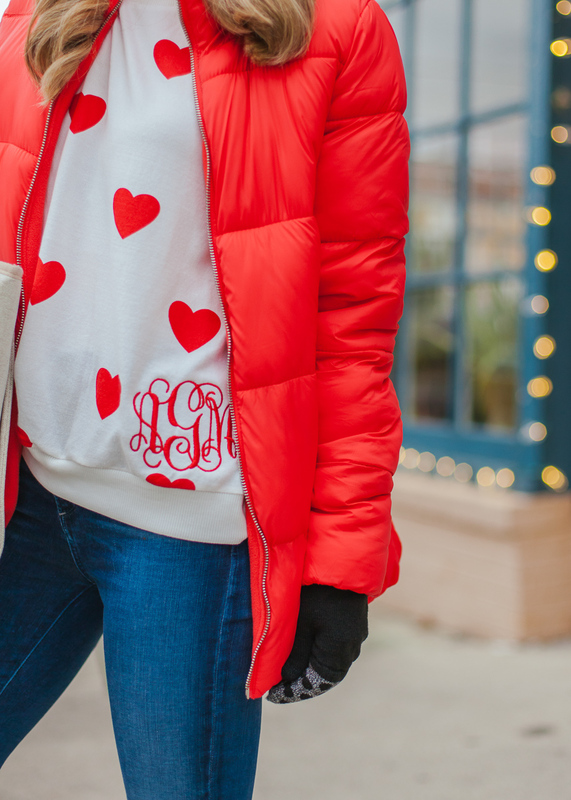 I wanted to get this look up asap because so many winter items are selling out quickly and Valentine's Day is right around the corner! 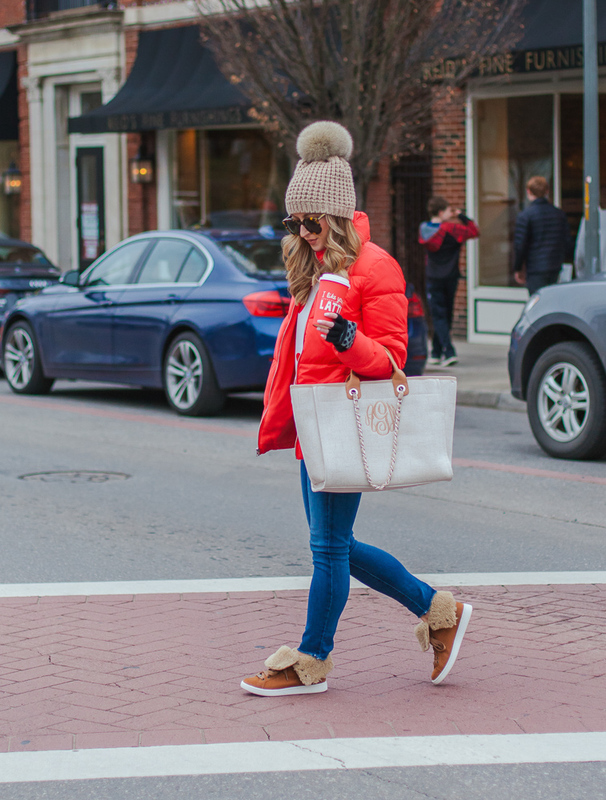 Can you believe this was the last full week of January?! 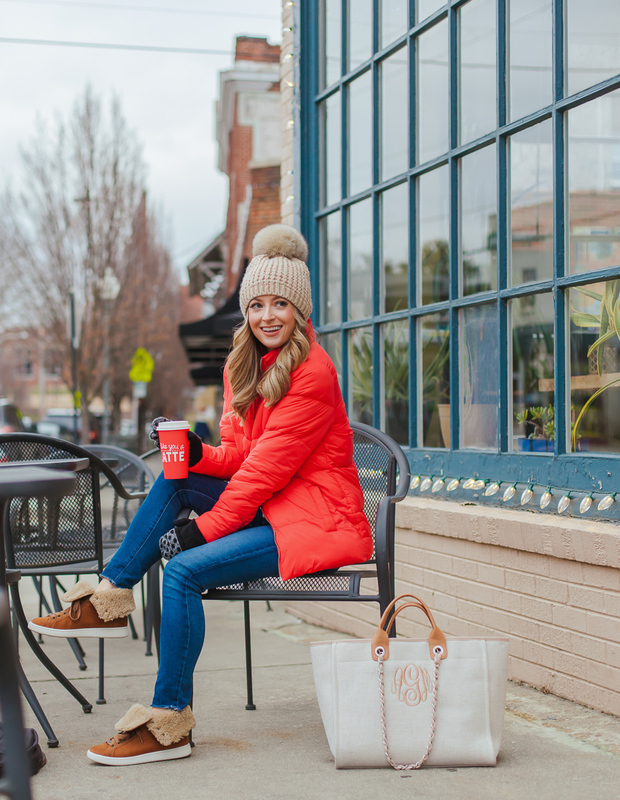 I'm traveling to Idaho today on my very first blogger trip and I cannot wait! I met all of the girls at last year's RewardStyle Conference and they have all become wonderful friends. 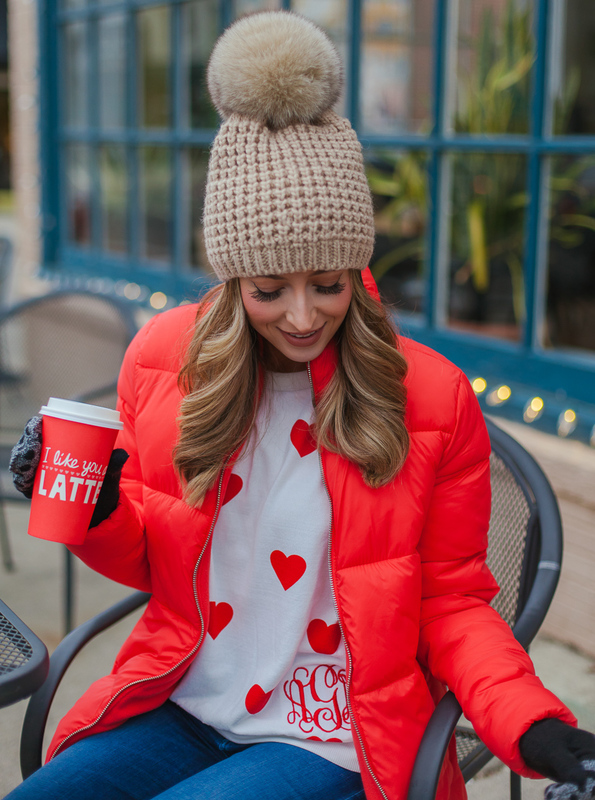 Our gal pal Kasey of KBStyled built a home in Sun Valley in 2018 and we are headed there for a fabulous girl's weekend full of snowshoeing, ice skating, sightseeing, good food, drinks, hot tubbing, and lots of laughs. 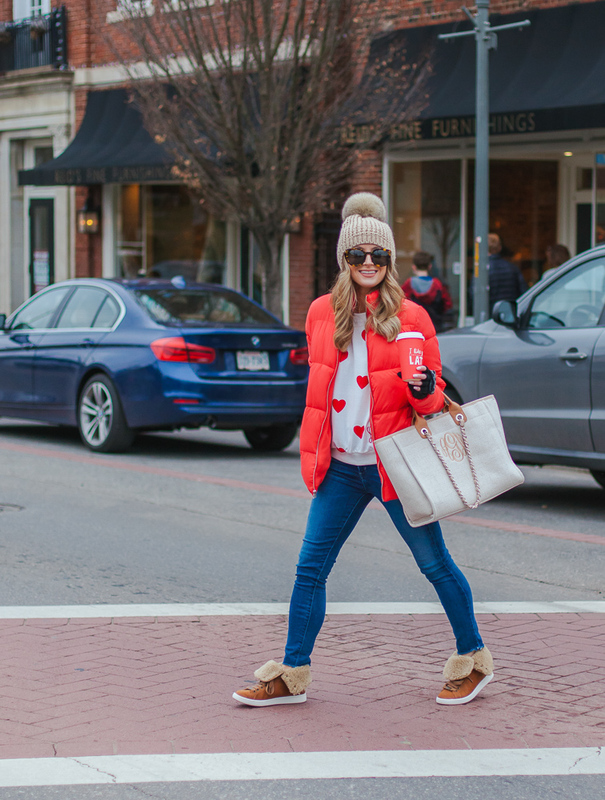 Make sure to follow along on stories this weekend for all the fun and let's all cross out fingers everyone's flights are on time and bags arrive unscathed without rerouting. 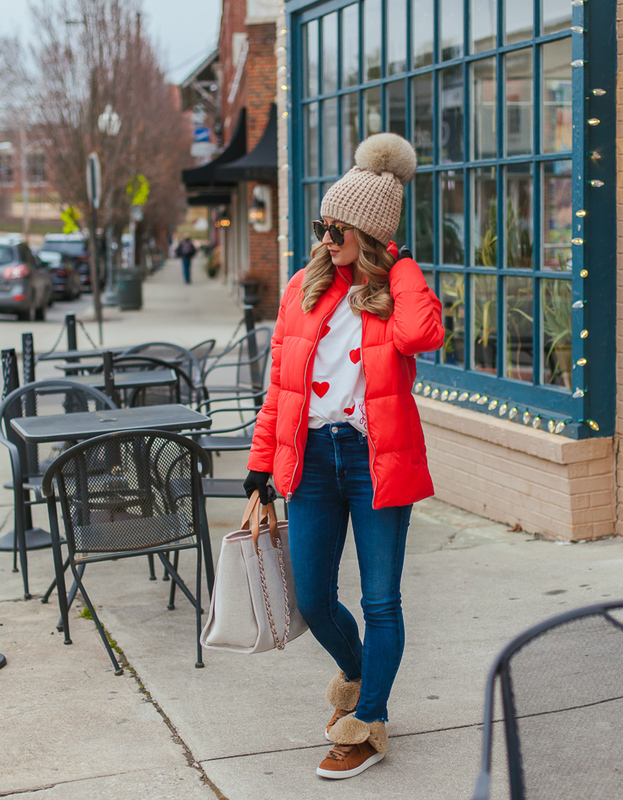 I took a look and it appears there are a couple sizes left in my red jacket. You probably saw it in my Christmas post and several times on my Instagram feed. 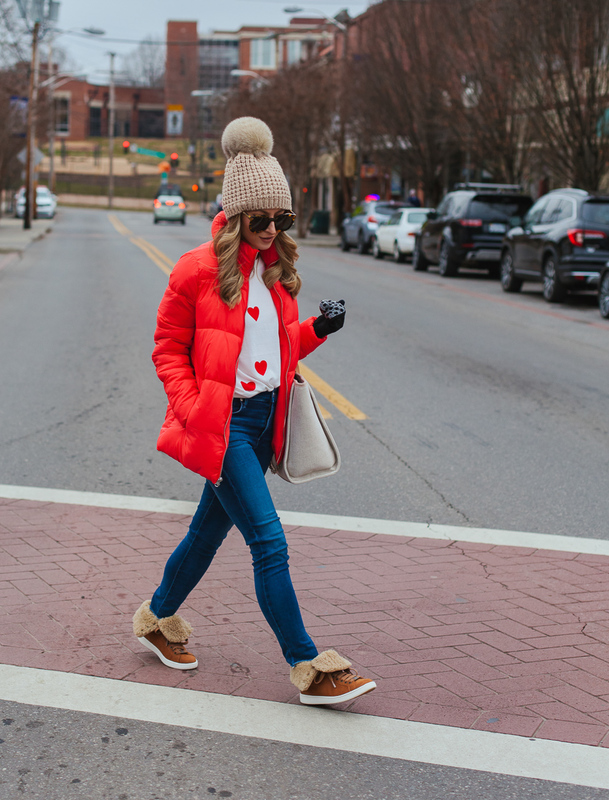 I'm usually not one for wearing reds of any shade, but it's really grown on me lately, and I just couldn't help myself for Valentine's Day. It's quite warm and very affordable. It also runs true to size - mine is an xs and fits perfectly! 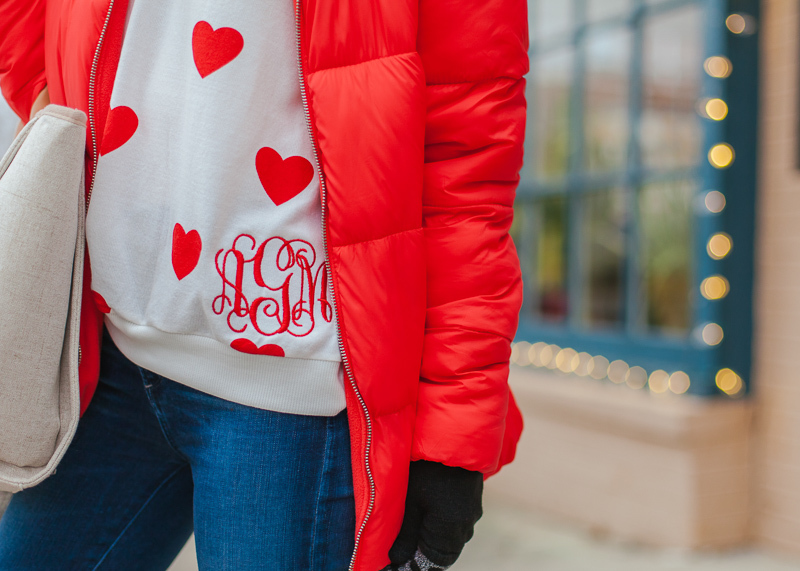 My monogrammed heart sweater is a new obsession. It's part of a monobox that you subscribe to and comes once a month. 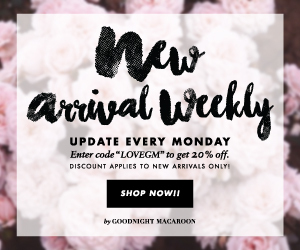 It's one of the best I've seen because you not only get a clothing item, but many times a pair of PJs and some fun surprise accessories! 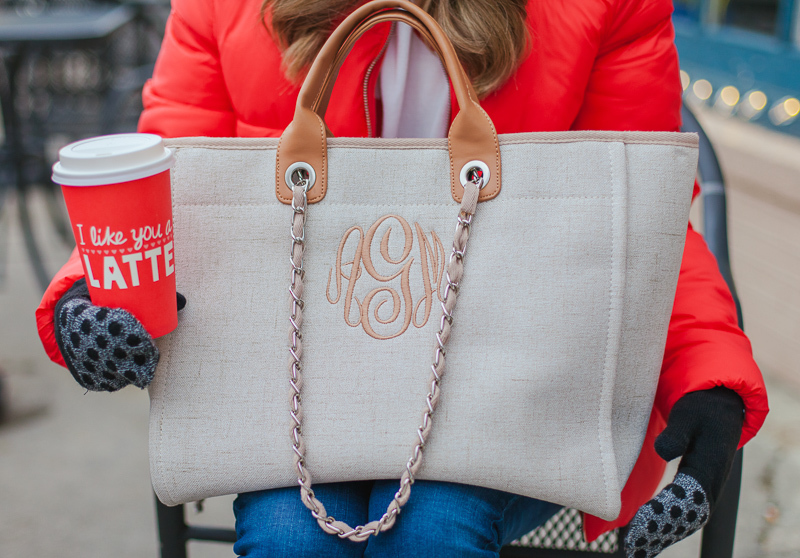 I've been obsessed with the online store, who also makes my monogrammed tweed bag in this post. It's been SO POPULAR on Instagram so I wanted to make sure I shared it here too. It has been my go-to for weeks now and also comes in a really pretty grey. You can also use AMANDA15 for 15% off your order! 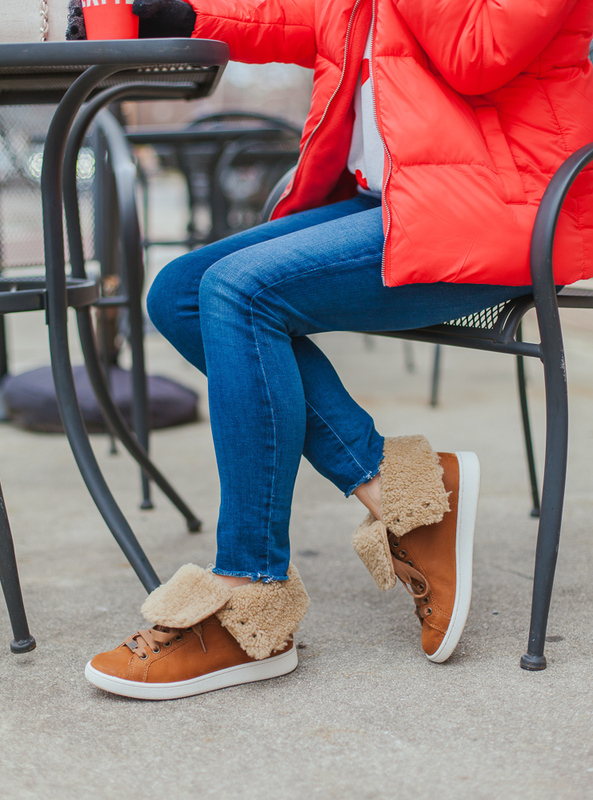 My shearling lined boots (or sneakers rather) are ON SALE for under $100 and I was able to find a site that has them fully stocked. I literally cannot say enough good things about the fit and comfort. I bought mine true to size and they feel amazing with a thin bootie sock (y'all these are so good!). I bought them for my today's trip for airport travel. I never wear sneakers but these are so cute!